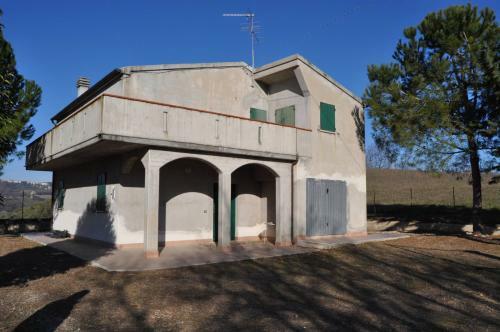 In the lovely countryside of Marche, near the beautiful village of Monterubbiano, old farmhouse to be restored with flat garden. The property consists of a main building and an adjacent extension, both are built with typical bricks of the area. This particular conformation makes the building very special and unique and unique and especially suitable for different uses. In fact, the large size (about 400 square meters) allows the buyer to realize either one dwelling or adapt it to two independent houses. Surely the building could also be turned into a B & B or anyway in a guesthouse. The building is in good structural condition and with a good and wise renovation with the recovery of the original features could become a property of remarkable beauty. 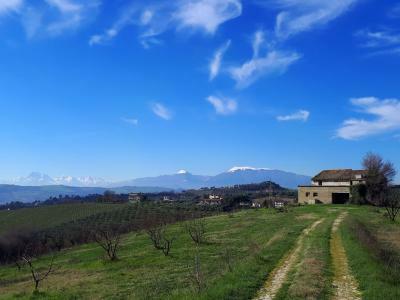 The property court covers about 2000 square meters of flat land, all facing south and an olive grove on the north side. There is also a large barn that can be converted into a carport. Nice is to create a pool overlooking the nearby hills. The property is easily accessible and already has electricity and water service. The nearest beaches are only 15 km away and you can find all the primary services just 4 km away.